mohitomish and 1 Guest are viewing this topic. Re: Learning the Kimo Li way. Fool me once. Fool me twice. I wasted A LOT of time and money on these so-called 'profitable' strategies. I'm sure I won't be the last sucker, either. Stick to the basics, there's nothing here as mentioned by ND. My reply was not intended to offend you,sorry if so you understand it. A recovery phase does not exist in my MM system. Even if I reach the loss limit of 25 % I can still leave the table a winner. Very simple explanation I Never ever replay any net winnings but I am mandated by my MM method to leave the table upon reaching the loss limit. Simple : $ 85 net winnings on a separate stack less $ 60 loss limit.Who is the winner ? I or the casino ? Free market capitalism is the best way to prosperity. L.K. People of this generation are lazy. Instant gratification appears to be the driving force behind self satisfaction. 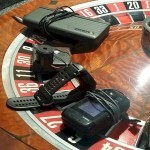 I would go on to further say that when it comes to roulette players who seek a strategy that will win without effort, are the same players who cannot remember most phone numbers on their cell phone. Why is that? 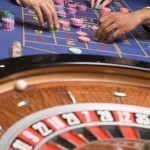 The reason is because the casinos know that a computer can make instant calculations and provide optimum predictions for a favorable win. You have a computer. It’s your brain. Like I said, people of this generation are lazy and are quick criticize without having done any research. You want to be a roulette player? 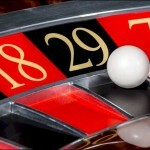 Start by using your computer and memorize the numbers on the roulette wheel so that you have some sense of direction. You will be surprise what your brain can do. Keep in mind that is only the beginning. Lazy minds need not apply. I agree with Kimo to make use of the computer BETWEEN your ears. Ditto for knowing he precise location of each number on the wheel . Something to ponder posted on my website. I had sat down on a 4 - 8 limit poker game. I am in seat 9. To my right, seat 8 is an aggressive player, meaning he raises a lot. He will be my fish today. Seats 1, 2, 3 are rocks, meaning they play only premium hands, pocket aces, kings, queens,etc. I will be able to bluff them on certain hands, meaning the flop did not hit their hands. It is important to size up the table before one begins to pursue playing a poker game. The same holds true when playing roulette. I treat roulette like a poker game. I study the current trends and treat each trend like a poker player. When the trend changes, I contribute that to a player leaving and a new player sitting down. It's been almost a year since my last post. Good evening, i'm really happy for explain kimo li strategies. I bought kimo li European Roulette many years ago. These strategies are very good and very good statistics for number patterns. But i don't understand many things. For the prediction how many spins ,or boule, are necessary for the attack? how did you recognize the way to follow to play these strategies? thanks to Kimo and the other players and scholar. Happy New Year everyone. Another year has passed since I had posted on this thread. I see there is a healthy group of roulette players still interested in the Kimo Li Way. There are a lot of hidden treasures here. I hope you find them. If you are on the fence about playing the Kimo Li Way, I can help you with your journey. Talk to you again in March 2020.